Clinical psychological assessment is a psychological analysis method carried out mainly for therapeutic purposes to establish a diagnosis for the mental state of the patient and plan for their care and treatment. Forensic assessment is a psychological assessment that is required by a court of law, to establish their mental capacity to stand for trial (Ballack 1980). The two methods are both based on the field of psychology with the main aim being assessment of the mental condition of the individuals. Both being within the field of psychology directly implies that they are both dependent on psychological specialists to carry out the assessments (Hilgard 1967). Both psychological investigations are based on personal direct contact. Psychologists through years of practical application of the science discovered majority of both psychological ailments are caused by physical ailments. The main cause of insomnia due to painful headaches experienced at night has been found to be caused by straining eye muscles due to poor vision. 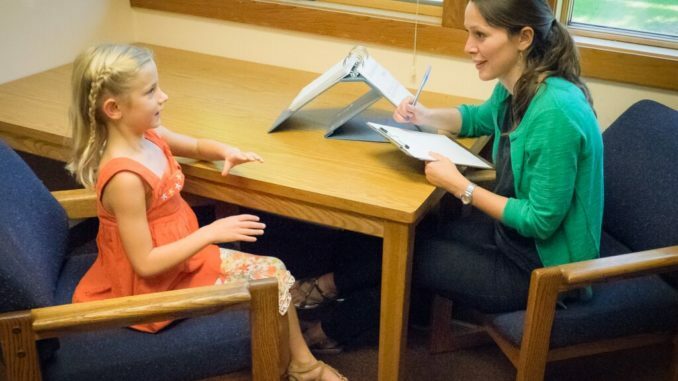 Both assessments include social and biographical information, direct observations, and data from specific psychological tests. . The client in forensic assessment is the court that requires the psychologist to carry out the interview on the criminal, with the main aim being to determine whether the individual is fit to stand for trial (Howitt 2006). Clinical assessment is carried out on willing participants, normally without coercion. The clients get in contact with the psychiatrist with the main aim being to get assistance for a problem. E.g. A court can seek to obtain forensic assessment for a man who is suspected of killing his wife to find out whether he is fit for trial or not. A woman can seek clinical assessment for feeling depressed. Forensic assessment requires that the interviews carried out to be formal and restricted to the courts specifications (Kamphaus, 1996). A man suspected for killing his wife would be asked questions related to his state of mind when he committed the crime. Clinical assessment interviews are undertaken using different strategies as deemed necessary by the psychologist. The conversations are aimed at being informal to enable the client to be comfortable enough to treat the doctor as a friend. Forensic assessment interviews are recorded to be later presented to the court. Clinical assessment interviews may or may not be recorded. The records are considered private and confidential between the client and the doctor (Howitt, 2006). The main role of both forensic and clinical assessment is to determine the mental condition of an individual. Forensic assessment is meant to diagnose the mental condition of the accused and find out whether they can stand for trial. A clear demonstration of this was displayed in the high profile Azaria Chamberlin case where a mother was accused of killing her baby daughter (Thinkquest.org, 2011). Upon forensic psychological assessment, it was determined that she was fit for trial as she was in her right state of mind when she committed the crime. Clinical assessment determines the mental state of a patient, to find the cause of their condition and strategize on how to improve their state. Joshua a ten year old boy was taken to a psychiatrist due to his recent change in behavior. He had suddenly become restless and fidgety. His grades in school had drastically dropped. After the sessions, it became apparent that he been in a motor accident which had caused neurological damage and thus responsible for the change in behavior. The two forms of assessment are expected to make a diagnosis at the end of the interviews and psychological review of the client. As stated earlier the main difference in the roles of forensic and clinical assessment is dependent on the main aim of carrying out the assessments (Ballack 1980). Forensic assessment is meant to determine the mental state of the accused and find out whether they can stand for trial therefore, the main role is within the legal system. Clinical assessment determines the mental state of a patient to determine the cause of their condition and strategize on how to improve their state with the main role being the mental improvement of the individual. Bellack, A. S., & Hersen, M. (1980). Introduction to clinical psychology. New York: Oxford University Press. Hilgard, E. R., & Atkinson, R. C. (1967). Introduction to Psychology (4th ed.). New York: Harcourt, Brace & World. Kamphaus, R. W., & Frick, P. J. (1996). Clinical assessment of child and adolescent personality and behavior. Boston: Allyn and Bacon.